The Company reports on the purchase of 161,704 treasury shares. Barcelona, April 11, 2019. - The Company reports that, under the fourth share repurchase program to amortize, during the period between 4 and 10 April, 2019, has carried out the purchase of 161,704 treasury shares. Within the framework of this fourth program, between July 9 and April 10, 2019, the Company has acquired 2,343,050 treasury shares. At present, the Company holds 2,796,158 treasury shares (2.59 %). The Company reports on the purchase of 187,153 treasury shares. Barcelona, April 3, 2019. - The Company reports that, under the fourth share repurchase program to amortize, during the period between March 26 and 3 April, 2019, has carried out the purchase of 187.153 treasury shares. Within the framework of this fourth program, between July 9 and April 3, 2019, the Company has acquired 2,181,346 treasury shares. At present, the Company holds 2,634,454 treasury shares (2.44 %). Barcelona, April 3, 2019. 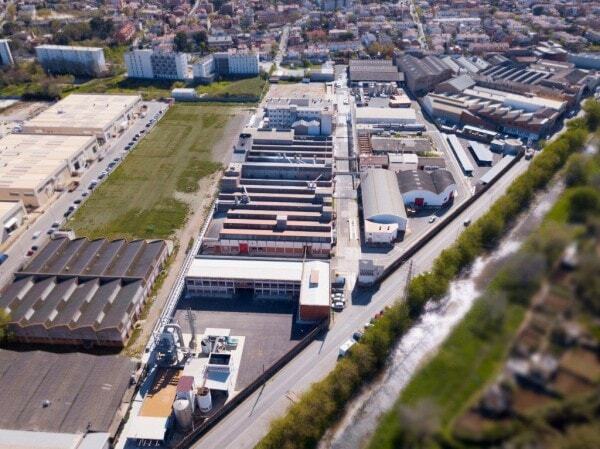 - The Ercros factory in Cerdanyola has expanded the production capacity of moulding compounds by 3,000 t/year, which represents an increase of 14% to reach 25,000 t/year. Barcelona, March 26, 2019 - The Company reports that, under the fourth share repurchase program to amortize, during the period between March 15 and 25, 2019, has carried out the purchase of 159.589 treasury shares. Within the framework of this fourth program, between July 9 and March 25, 2019, the Company has acquired 1,994,193 treasury shares. At present, the Company holds 2,447,301 treasury shares (2.27 %). Barcelona, March 15, 2019. -The Company reports that, under the fourth share repurchase program to amortize, during the period between March 6 and 14, 2019, has carried out the purchase of 152,337 treasury shares. Within the framework of this fourth program, between July 9 and March 14, 2019, the Company has acquired 1,834,604 treasury shares. At present, the Company holds 2,287,712 treasury shares (2.12 %).